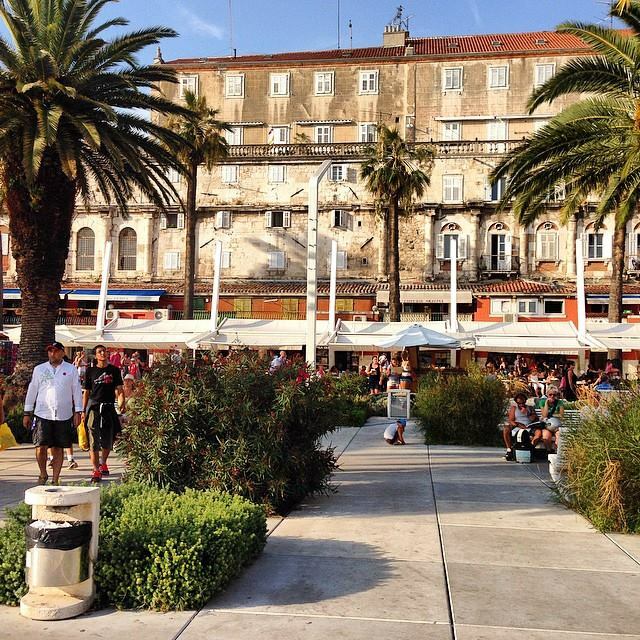 After arriving at the airport in Split, Croatia, getting to the downtown area was easy. There is a bus which leaves every so often from the outside of the terminal and it was inexpensive and efficient. The trip to the city was non-eventful. However, getting off the bus and getting a taxi was another story. My girlfriend had several bags (she doesn’t travel lite) and apparently our lodging was too close to the bus area and no taxi wanted to take us. They were actually quite rude and just walked away when we asked. Needless to say, this didn’t start the trip off so well. We ended up walking about a mile to the hotel with all the bags. Despite the inconvenience, we hit a home run with the apartment we rented inside the old Roman City through one of the many local agencies. Very private, luxurious, inexpensive, well stocked and inside the old walls of the metropolis. Dinner was served at a splendid restaurant hewn into the rocks of the old buildings. The food was magnificent. The fish covered in salt brings back good gastric memories. We strolled back to our room late in the evening, taking in the ghosts of Rome which seemed to lurk around every stone corner. The next day was spent wandering the twisting and turning alleyways of the old Roman city inside the massive fortress walls. There are lots of shops, arts and craft stores. Old watches, silver spoons, and glass art can be had at a reasonable price. 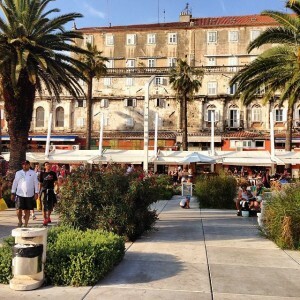 We dined for lunch out on the port esplanade at an outside table and watched to the boats come and go. Again, the food was to die for, no complaints there. The service during the entire stay was excellent as well. We met a group of medical students training in the Balkans and had a nice conversation while relaxing and sipping white wine. For the evening’s entertainment, we searched out and found the old Roman square in the center of the city. We sat on the ancient rock walls of the plaza and drank a dark, wonderful chianti brought by the waiter from the restaurant nearby. An outdoor concert was held with some of the local talent. Children danced in the center under the statues of the ancient Roman gods. It truly was a magnificent evening. Even though it started to rain a little bit, no one seemed to mind and the party went on into the night. 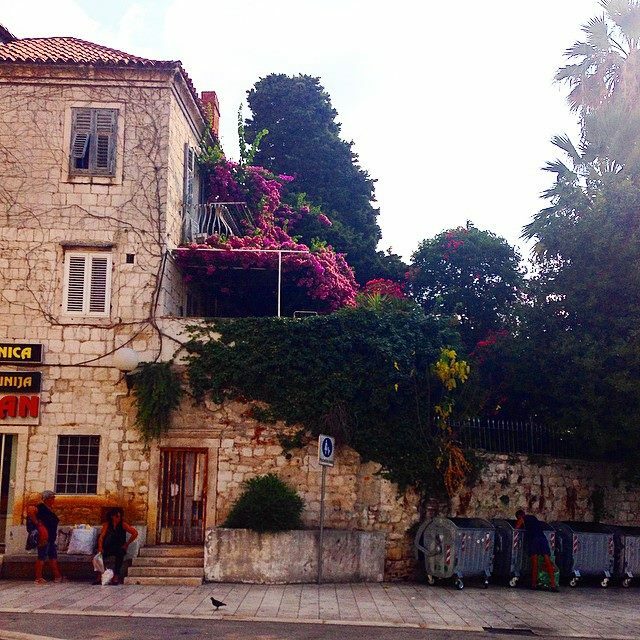 The next day we took the ferry out to the island of Hvar but that is for another column. 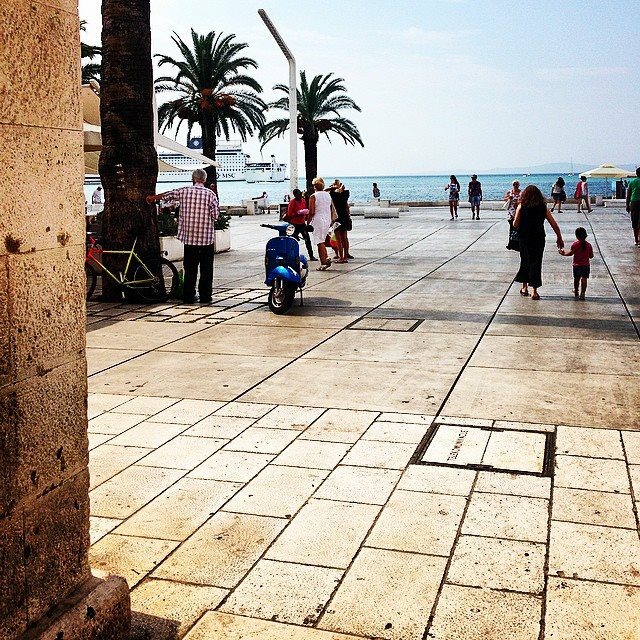 Croatia is beautiful and if you love history as we do, Split is a must see destination. So, Hurry up and split for Split! You won’t be disappointed.